G3 is the latest flagship model from the LG mobile, the phone comes with awesome specs and features. The phone is packed with 5.5-inch Quad HD display, lightweight metallic design, 13MP main camera with OIS (Optical Image Stabilization), laser auto-focus and dual LED flash, an amazingly smart keyboard, Snapdragon 801 quad core processor clocked at 2.46 GHz, 2/3GB RAM, 3000 mAh removable battery, a micro SD card. Most of the users already bought the phone and enjoying the feature of the device. 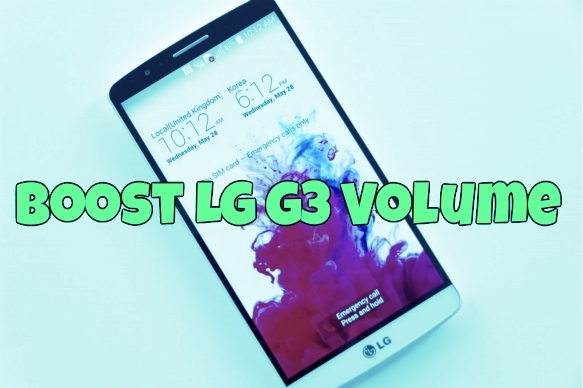 If you own the LG G3 and feel that its headphone and speaker volume is not up to your expectations, and looking for the hack or guide to increase the volume of your LG G3 android smartphone. Today in this tutorial we’ll show you how to boost the speaker and headphone volume of LG G3 smartphone. To apply this trick you need a rooted device. If you don’t have the rooted phone, read our guide here how to root LG G3 here and here. Once the device is rooted, you need a root file manager to make some changes on your system files. We recommend you to install the root browser on your device. Step 1. Now run the root browser application on your phone and navigate to /system/etc directory and open it. Step 3. You have to make some changes in these files. So first take the backup of your file and save them in some safe place. In case the mod does not work for you, or you wish to restore volume value to stock later, you can copy the original files back and fix file permission. Step 4. Now tap and hold the XML file and select Edit option. Step 6. Save the new configuration, close Root Browser/Explorer app and reboot your phone.